Legendary British car designers Aston Martin have unveiled an all-electric version of one of their classic models and are promising to convert many more from 2019. 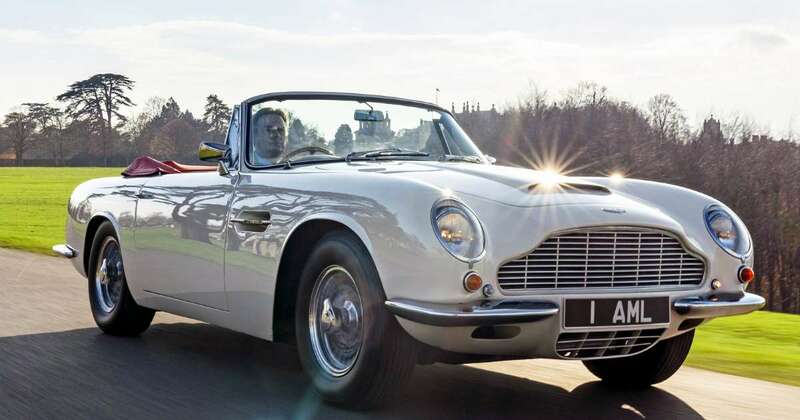 The company revealed the electrified 1970 DB6 MkII Volante this week, which is the first reversible EV powertrain to use the company’s so-called cassette EV powertrain which has been developed using the knowledge gained from the work done on the Rapid E electric car. The cassette EV will sit on the original engine and gearbox mountings and is enclosed in its own self-contained cell. “We are very aware of the environmental and social pressures that threaten to restrict the use of classic cars in the years to come,” said Aston Martin’s CEO Andy Palmer. “Our Second Century Plan not only encompasses our new and future models, but also protects our treasured heritage. Aston Martin’s rivals Jaguar announced a similar plan to convert E-Type’s to electric earlier this year, with an all electric version debuting at Prince Harry and Meghan Markle’s wedding. But it looks like Aston Martin may get to production first, with the company’s Newport Pagnell factory primed to begin converting from 2019. Paul Spires, President Aston Martin Works said: “We have been looking for some time to find a way of protecting our customers’ long-term enjoyment of their cars. “Driving a classic Aston Martin on pure EV power is a unique experience and one that will no doubt be extremely attractive to many owners, especially those who live in city centres.